If any Aussies out there wasn’t entirely sure of going to the Microsoft TechEd Australia conference on the Gold Coast this year or not, then here’s an offer to nitro-boost your thought process a little. Microsoft Australia is going to be hosting the largest hands-on Windows 7 evaluation in the world by offering each paying attendee with one of 2,300 HP Mini netbook preloaded with Windows 7 for free. From a freebie perspective, it’s difficult to imagine anything better. Whilst no person can ever have enough backpacks, drink bottles and glossy printed materials, a netbook on the other hand is not only fun but practical. The particular netbook on offer is a HP Mini 2140 notebook which has actually been discontinued by HP just recently, but still packs a punch. It features an Intel Atom N270 processor, 160GB of storage, 10.1 inch (16×9) LED display. Microsoft will be preloading the latest public build of Windows 7 at the time (in September so presumably RTM) and attendees will be able to not only gain hands-on experience before the product launch, but also experience it on a netbook-class system, where it is said to perform very well. From a conference perspective, this is also a smart move on Microsoft’s behalf to optimize the infrastructure necessary for hosting a large-scale event like TechEd. Attendees will be able to use the wireless connectivity to participate in collaborative development activities, download hand-out materials, presentations and communicate with other attendees using the webcam. However from experience the wireless networks are usually already-strained at an event like this, it’d be interesting to see how it will cope with every attendee potentially accessing the network wirelessly at the same time. Of course, no freebie comes without a moral dilemma. At the conference, recipients of the netbook will be given the choice to receive the device as a gift or a loan. Those who do not need a netbook device can use the machine for the duration of the conference, after which it will be donated to the community sector through a local Microsoft initiative, On My Way, aimed at helping disadvantaged Australians develop technology skills. To be eligible for this offer, attending must hold a paid registration. Unfortunately, this excludes sponsors, sponsor free tickets, exhibitors, volunteers, Microsoft staff (full-time and contingent), nor any delegate who has received a complimentary ticket (excluding non-Microsoft speakers). Chinese Microsoft enthusiast blog LiveSino.net today posted a bunch of links to some interesting portfolios by a handful of Chinese designers who works at the Microsoft Advanced Technology Center (ATC) Studios in Beijing. What many people don’t know is that the ATC has been largely responsible for the user experience design of Windows Mobile. This however is no longer the case as WM 6.5 was their last project, but up and until now, they’ve been busy conceptualizing the future of Windows Mobile. Most of those concepts have never surface in public before, until now. Out of all the portfolios linked, one stands out as the juiciest. Teng Lei, a user experience designer at the ATC recently blogged about a new portfolio by Robin Zhu (not yet launched) who appears to also work at the ATC. What appears to be a teaser quickly turns into an enormous gallery of high resolution clippings from Robin’s portfolio which showcases some extraordinary Windows Mobile concepts he’s designed over the years. Here’s a select few I found the most interesting, but I would encourage everyone to visit the original blog post to see the whole range. With these amazing UX concepts, one wonders, where did it all go wrong for Windows Mobile? Update: The author of these concepts, Robin, clarifies in the comments that not all of these concepts were designed for Windows Mobile but designed for mobile user experiences in general. I’ve been a big fan of the guided tour videos Apple makes available soon after a new product launch. It’s an effective way of showing off a new product without looking like an advertisement, at the same time educating potential customers about the features of the product without a wordy manual or features list. 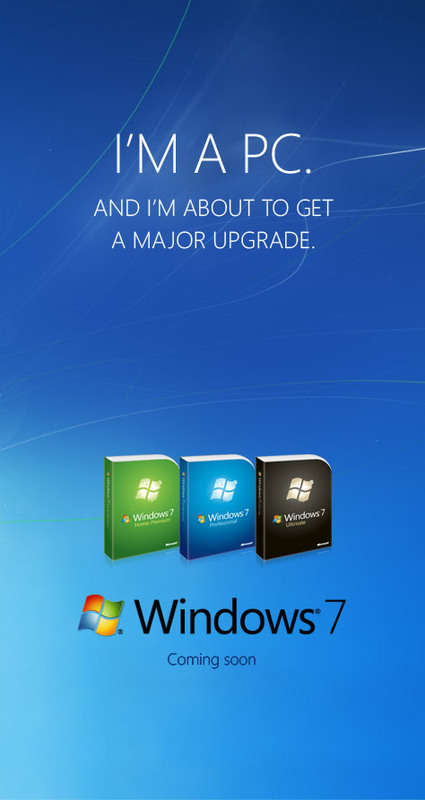 Now Microsoft has a series of guided tours for Windows 7 too. Similarly to the recent iPhone 3GS video, the Windows 7 videos too feature a charming employee who introduces and narrates the videos, in this case, Latika Kirtane. If the face looks familiar to you, that’s because you probably watched Latika sing in the now infamous Microsoft Research Songsmith video. Interestingly, according to her LinkedIn profile, she has since moved on from the Windows team to now work on Windows Internet Explorer. In terms of the video production, it’s fascinating to see the use of Sims-like figures in the introduction of the videos. Each of the four videos feature slightly different themed scenarios related to the topic of the video. 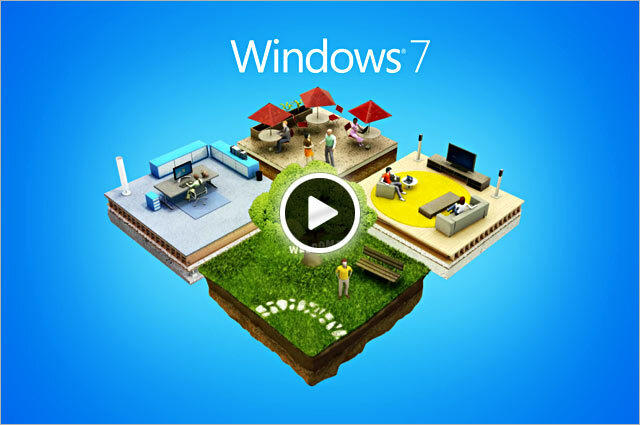 The style of the animations are also quite interesting, and if you think of all the other elements that’s been associated with the Windows 7 brand so far – butteries, birds, trees, sunshine – this might actually be a sneak peek at what to expect in the mainstream advertising campaigns. I always get a kick out of reading about Longhorn-era technology that never saw the light of day, only to be implemented years later. Days ago, a couple of then-Microsoft designers working on what was Windows Codename “Longhorn” at the time were granted a patent they filed all the way back in 2005. On closer inspection, their idea is reminiscent of the Aero Snap feature in Windows 7 today, but arguably more powerful. If you’ve been living under Mount Rushmore for the last 6 months and haven’t yet tried or seen Windows 7, then Aero Snap is a windows management feature that allows you to use mouse gestures to manipulate the size of windows. Whilst maximizing a window was something that was already trivially easy to do, docking two windows side-by-side was not. With Aero Snap, you would simply drag one to the left, and another to the right. Voila. The Longhorn designers too thought of this windows management problem and came up with a slightly different solution, which I’m going to nickname “Aero Link”. The first thing that’s different about “Aero Link” is the way it is triggered. Instead of dragging two arbitrary windows to the sides of the displays, it is suggested that one window be dragged to the titlebar of another, with a visual indicator indicating an action occurring. Alternatively it is also suggested that the same trigger can be performed in the taskbar dragging an application’s button onto another application’s button. The end result of course is as one would expect, two windows side-by-side sharing the entire screen. It might not look any different, but this is where “Aero Link” starts to shine. Because the user has created a symbolic relationship between two windows, the windows would operate in synergy. It is suggested for example, scrolling one document in the application on the left, would also scroll the document in the application on the right. Furthermore, an API would attempt to neutralize any differences between the applications such as font-size and font-family in a document application so the “child” application would match the “parent” application. Minimizing one application would also minimize the other. Another cool aspect of this particular implementation is that by resizing one window, in reality it would be like shifting the balance between the two applications, thus easily controlling the split between the applications. Finally, it was even suggested to create a new windows paradigm to encapsulate the relationship between two application windows by a new parent container as suggested in the diagram on the left, or by removing one set of windows controls as indicated on the right. Over the past 24 hours, the #fixoutlook campaign has taken the Twitterverse by storm and it appears to me that most people’s reactions are one of two extremes – blindingly pledging their support or ignoring it entirely. Either way, I would like to add some perspective on the issue and help bring the two extremes closer. That is, if you believed the world was about to end, I’ll try to convince you why it won’t. On the other hand, if you didn’t care about the issue at all, why it should warrant some of your attention. Or at least I can try. First off, if you don’t touch Outlook and use Gmail exclusively like myself, then we should be more ashamed of Google than we are upset at Microsoft. As it turns out, Google’s Gmail is a worse offender in email rendering than Microsoft’s Outlook. As far as I can recall, there isn’t a #fixgmail petition, but as you’ll see below, maybe there should be. Using the “email acid test” produced by the Email Standards Project which in my professional web development opinion is a basic, fair and practical test of HTML rendering capabilities for email clients, Gmail’s test result makes it the second worst contender in a range of popular modern clients. Outlook 2007 in comparison (and Outlook 2010) is certainly a step in the right direction. Update: User “Allen Huang” posted a comment noting that Gmail must have since updated their web client to render the HTML test more successfully, if not perfectly. The 2007 screenshot from the Email Standards Project is out of date and is no longer applicable. The Email Standards Project has emailed me indicating that their Acid test had been incorrectly sending out test emails with the CSS styles attached inline, which allowed Gmail to pass, however this is the incorrect behavior and has since been fixed. Gmail remains a poor contender in the email Acid test. Speaking of a step in the right direction, Microsoft as a company is actually no stranger to “email standards” in their products. Their free desktop email clients, Windows Mail and its successor Windows Live Mail, are actually two very capable clients in the email test only to be slightly affected by a bug in the Trident rendering engine. Windows Live Hotmail falls a little short behind on the web client front. Of course, you might argue Windows and the Windows Live team are separate entities at Microsoft and they have different needs and requirements when designing an email client than the Office team, but that’s where it gets stranger. What I find weird in particular is that even the Office team itself is no stranger to “email standards”, and I’m not talking about Outlook 2000 either which has been claimed to do a better job than Outlook 2007. Entourage, which is the Outlook equivalent (although some Mac users might argue its equivalence) in Office for Mac has excellent support for HTML email rendering and passes the test with flying colors. Now on the other side of the spectrum, an argument that’s come up often is that why we need to bother with HTML rendering in email clients at all? One could of course respond by asking a counter-question “why do we need to continuously improve technology”, but I won’t. Whilst HTML emails today might be quite redundant and flashy for no good reason, that shouldn’t be the reason we should hold back either. The web has evolved and is continuously evolving from simple standards, email should evolve with it to make it more compelling and enable more scenarios that similarly you couldn’t imagine the web could do years ago. Finally, a lot of people seems to be misled by exactly what is being asked of the Outlook team, and their response today seems to indicate they might be too. It is not demanded that Outlook 2010 use a different rendering engine such as Internet Explorer’s Trident. Using the Word engine to create and display emails is perfectly legitimate since Word allows easy creation of some very compelling graphics to communicate information. In fact, the output of graphics such as SmartArt and charts in Outlook are actually rastered as bitmaps and the output is formatted using no other than the subject under the spotlight, HTML email, making it very much so compatible with the email ecosystem. All it is asked of Office is to improve its HTML rendering support in Word, which already exists at a below-par level today, to include support for some of the more basic and fundamental HTML elements and CSS styles that would be key to the forward progression of email.